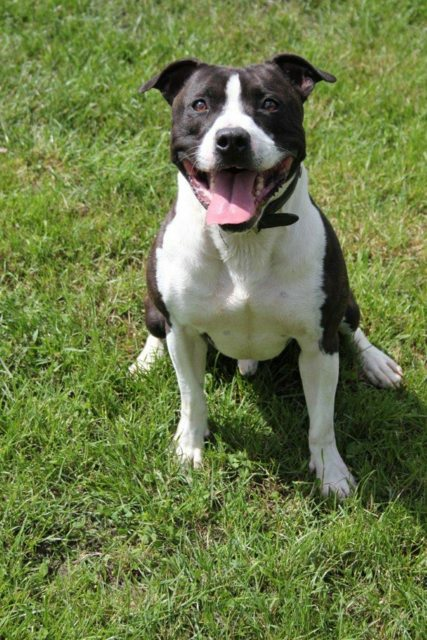 Benson is a 2 year old male Staffordshire Bull Terrier Cross. He’s a strong boy, very friendly with people although initially nervous of some, and doesn’t like other dogs so needs to be an only dog. He’s looking for someone who can give him clear boundaries and offer him the love and loyalty he craves. Benson is kenneled in Nottinghamshire. For more information please call and fill in our online application form.